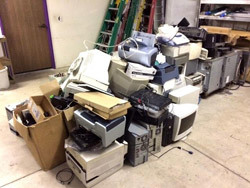 Electronic Recycling - ACHIEVE Human Services, Inc. 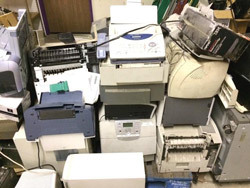 ACHIEVE will accept, at the ACHIEVE CORPORATE HEADQUARTERS ONLY, your electronic recycling free of charge in order to keep the environment clean and beautiful. SORRY - no computer monitors (CRT) or televisions or industrial MFP Printers can be accepted at this time. **Please make sure all hard drives have been scrubbed clean or removed from the computer in order to protect your privacy.